While winter is still coming for Westeros, it’s been here for quite some time for the rest of us. And if you live up north, it’s still hanging around. 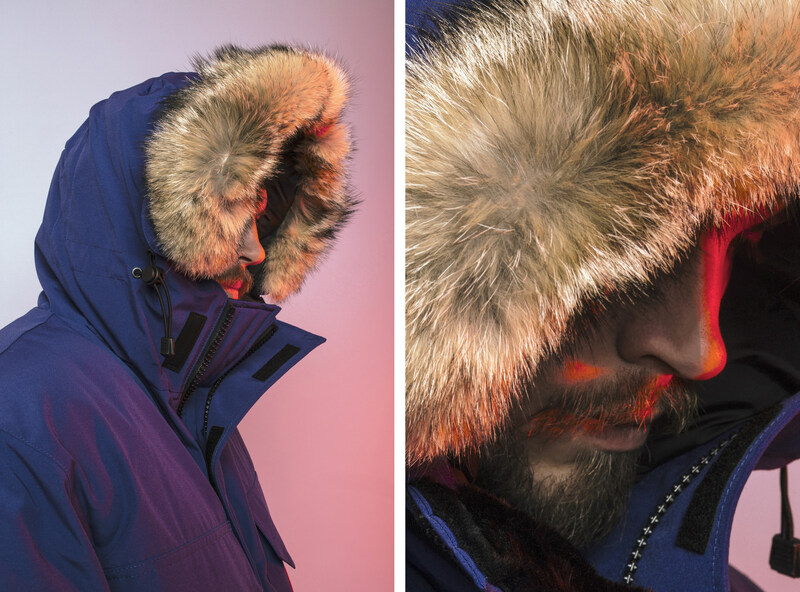 Combat the cold with a sturdy parka from one of the greatest outerwear companies on earth: Toronto-based Canada Goose. Okay, so we know it’s March now and you’ve got sunshine on your mind. But here in the Pacific Northwest — and in plenty of other places around the globe (i.e., Canada, the theme of this month’s issue) — the cold weather won’t let up any time soon. In fact, as of writing this, the current temperature in Toronto is a balmy 19° Fahrenheit with a forecast of moderate snow. If you’re tired of shivering through the cold, you could certainly book a trip to find fairer weather. Or you could stay inside and wait it out. A better (and much longer term) option is to invest a good old fashioned winter parka. And not one of those simple base layer jackets you’ll find at the local outdoor store. We’re talking a properly made, classically cut down-filled jacket. 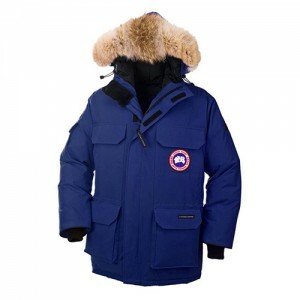 Like the Expedition Parka from famed outdoor apparel brand Canada Goose. Founded in a small warehouse in Toronto in 1957, Canada Goose has become known as one of the world’s leading makers of luxury outerwear. Today, the brand remains under the ownership and guidance of the same family that started it some sixty years ago. Translation? These guys really know how to make a quality jacket. 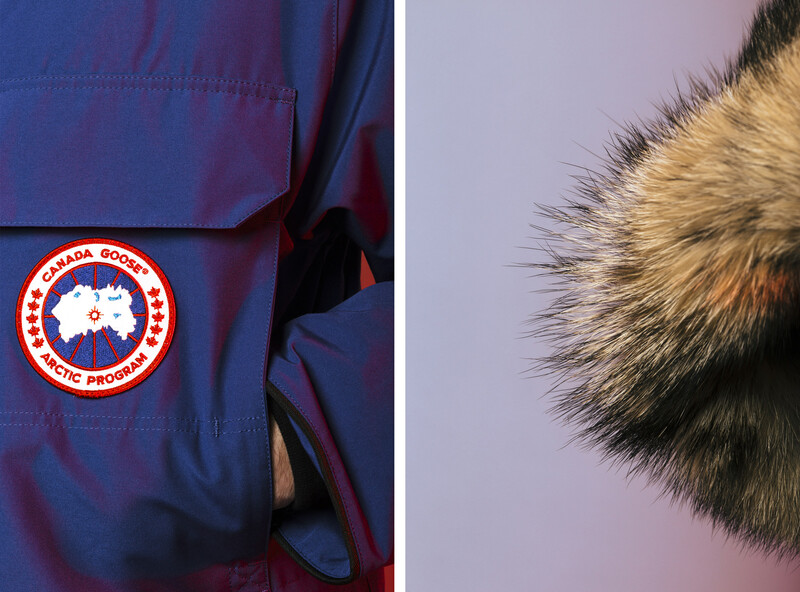 Each and every Canada Goose product is designed for expedition and informed by the rugged demands of the Arctic. The precision of every cut, fold and stitch is guided by decades of experience. They’re so insistent on quality control that the jackets have been made locally in Canada since 1957 and, as they proudly claim on their website, they “always will be”. 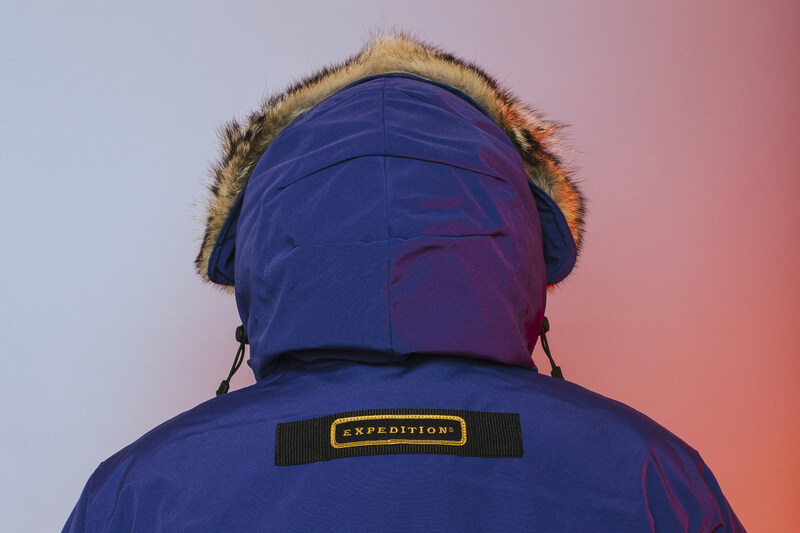 While the brand has a vast array of styles and cuts (not to mention some impressive and unique collab products with brands like October’s Very Own, Levi’s, and Pendleton), the Expedition Parka is the quintessential Canada Goose jacket. 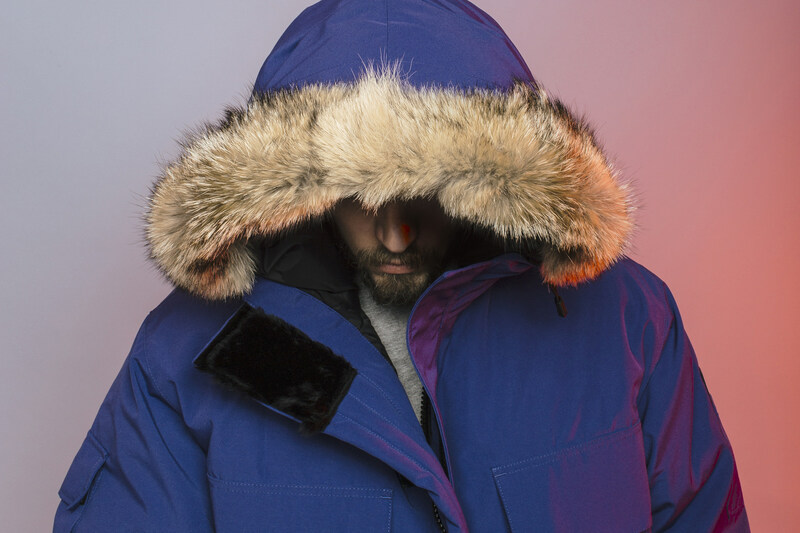 Developed in the early ‘80s to meet the unique needs of scientists at Antarctica’s McMurdo Station, the jacket quickly became standard issue, and later gained the affectionate nickname of “Big Red”. Now available in 10 colors (from black to camo to, you guessed it, red), you can choose the hue that best complements your personal taste (though we’d recommend sticking with classic red, blue, black, or charcoal, as this jacket will far outlast the comings and goings of trend). Treated for arctic conditions, the jacket is filled with 625 fill power white duck down (translation: it’s really warm), and it’s been field tested to -25° Fahrenheit and below. Storm flaps, an elasticized nylon snow skirt, and recessed, heavy-duty rib-knit cuffs keep the wet out, while coyote fur surrounds a tunnel hood with an adjustable bracing wire for protection in high-wind conditions. Like all Canada Goose jackets, it’s hand inspected for integrity. And while it won’t be necessary, it’s fully warranted against defects in materials and workmanship for its lifetime, which means if it fails due to a manufacturing defect, they’ll repair it (or replace it) free of charge. If you invest in a Canada Goose Jacket, you’ll be in good company, joining a long line of epic adventurers like Laurie Skreslet, who made history as the first Canadian to summit Mt. Everest. Or musher Lance Mackey, who’s won the Iditarod and the Yukon Quest dog sled races four times each (setting numerous world records along the way). Or Ray Zahab, who entered the Guinness Book of World Records for his unsupported trek to the South Pole on foot without the use of skis in just over a month. Still not convinced? You probably live somewhere warm. For the rest of us, there’s Canada Goose. Check out Canada Goose’s entire line of year-round, expedition-ready apparel online at canada-goose.com. And if you’re in the mood for inspiration, watch their short film “Out There” from director Paul Haggis, which highlights a few of the true stories of those men and women who exemplify the brand’s adventurous spirit.